There are some plumbing repairs that only take a few minutes and a cheap part to fix. They are totally safe to try on your own, because the worst-case scenario at that point is you don’t correct the drip from the faucet or the toilet flushes using too much water. However, there are other plumbing repairs that you should never attempt to do on your own. For these repairs, you should make sure you call in an experienced and certified Melbourne plumbing company to do the job. Aside from being incredibly difficult to reach, if possible at all, these clogs are not safe for you to try and manage or correct on your own. If you damage the pipe with the clog, sewage could spill all over the place, and create a dangerous situation. Not only could your yard become full of sewage, your home could, too. Plus, this can lead to hazardous health conditions, and should never be attempted by anyone aside from a professional plumber. Pipe leaks don’t always need a plumber to repair temporarily, but in order to fix a cracked or broken pipe, it will need to be replaced. While you can likely patch the crack for the short-term, that won’t last forever. 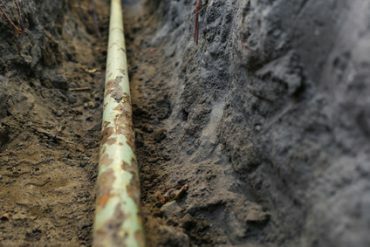 You should call a Melbourne plumber to replace the broken pipe so that you don’t have to worry about future leaks, and so that you don’t do something that could damage your pipes by trying to do something you haven’t been trained on how to do. If you suspect any type of a gas leak, the first thing you do is get every living thing out of the house immediately. Pets and people could get very ill, very quickly, if exposed to gas. Once outside, you need to call a Melbourne plumber that can get to your home very quickly. If they are not able to get there quickly, the gas company may have to come out and run tests to see if any gas is found on the premises. Getting the help of a professional is great when the plumbing problem you are facing could be dangerous for you to try on your own. Don’t guess that you can do something that you aren’t sure of, when it could have dangerous or dire consequences. Instead, call in the professionals who can do it right, the first time.